Snowshoes, skis and snowy slopes — winter activities abound in the heart of the Rogue Valley, and sledding is a favorite cold weather adventure. Don't worry about searching for the sweet spots because we have snowballed a list of some of the best. Gather your sled, boots, best buddies and head outside! There are endless hills and trails in our valley. Just take a drive until you find the perfect one! However, there are some more official spots dubbed best by our locals. 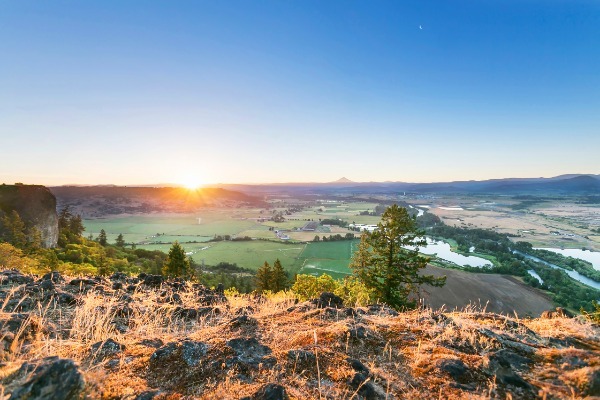 These go-to spots range from Page Mountain on Happy Camp Road near Lake of the Woods to Annie Creek and Union Creek to Farewell Bend, all on Highway 62 heading north and on the way to the Diamond Lake-Crater Lake area. The soft, supple snow at Diamond Lake Resort make it a popular winter destination among locals and visitors. Grab your tube, sled or saucer because there’s plenty of room for everyone to have fun on the hill. Diamond Lake is a hub of winter fun with seven sliding lanes, fabulous facilities and a friendly staff. For a truly unique experience, tube down the slope under shimmering lights on Friday evenings, Saturdays and Sundays. What a rush! The resort also offers 3-hour and all day passes, as well as discounts for families of four. Stay a few hours or all day for the best snowy fun in Southern Oregon. Heading south? Table Mountain has a sweet sledding hill in the Hyatt Lake Recreation Area at the Cascade-Siskiyou National Monument. During the winter months, Hyatt Lake offers sledding, snowshoeing and cross-country skiing. 20 miles east of Ashland, Hyatt Lake is a portal to a plethora of winter outdoor recreation activities. Mt. 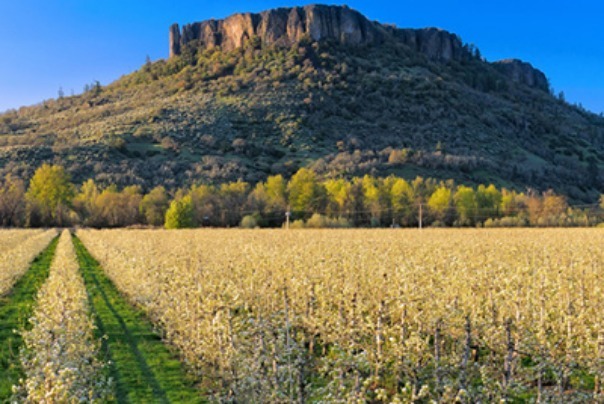 Ashland is the crown jewel of Southern Oregon. A mecca for winter recreation, Mt. 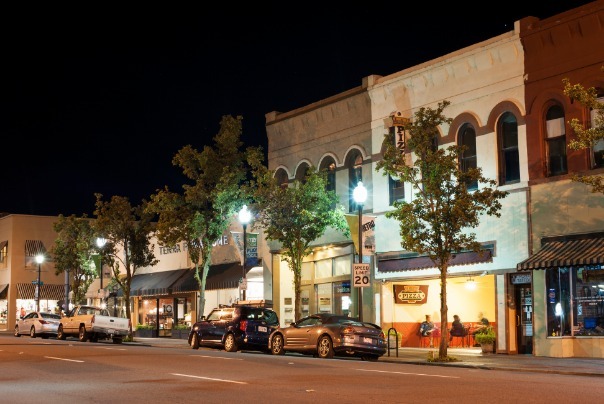 Ashland has been a local favorite since 1964. There is plenty to do at Mt. Ashland, but twilight skiing is a must. It’s the best way to experience a beautiful Southern Oregon winter sunset. Twilight skiing starts at 3 p.m. on Thursday and Friday nights in January, February and early March. When the lights go on, your journey of lights and snow begins! While you’re in the area, head over to Grouse Gap Sno-Park for sledding. It’s just up the road from Mt. Ashland and a great place to sled. 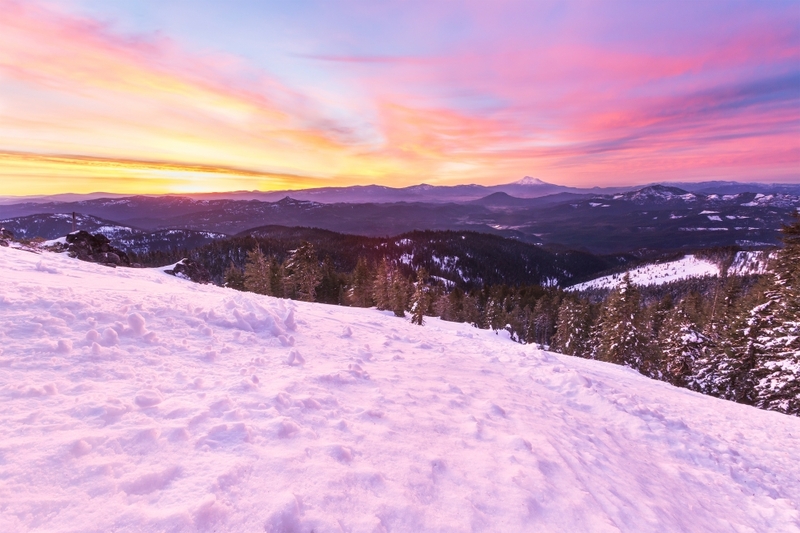 Spectacular sledding and snowy fun await in Southern Oregon. Plan your winter recreation adventure at www.TravelMedford.org.